A third-person action game developed by Ubisoft Toronto. This is the sixth installment in the franchise telling the story of Sam Fisher. Tom Clancy's Splinter Cell: Blacklist for PC, X360 and etc. is the sixth installment of the popular action game series featuring Sam Fisher. It was produced by Ubisoft Toronto led by Jade Raymond. The studio was supported by developers from Ubisoft Montreal and Ubisoft Shanghai. The game's story shows the struggle with a fictional terrorist group called Engineers. The terrorists draft the Black List mentioned in the title starting with an attack on an American air base and threat of undertaking further actions if the United States do not withdraw its troops from other parts of the world. The President forms secret cell called Fourth Echelon including Sam Fisher. The group’s purpose is to find out what the terrorists plan, find their sponsors and stop the attacks. The main character, dressed in distinctive suit and tactical goggles takes part in a series of dangerous missions. Fisher looks for Engineers and information about their next moves and travels around the world performing tasks not only in the United States, but also in Iraq, Indonesia and Paraguay. The missions offer not only various place of action, but also different types of tasks. Fisher, apart from infiltrating facilities occupied by enemy forces, rescues hostages, eavesdrops conversations, kidnaps important persons or steals important data. Tom Clancy's Splinter Cell: Blacklist for PC, X360 and etc. offers three game styles – Ghost (avoid detection at any cost), Panther (silent execution of the enemies) and Stormtrooper (fight enemies). 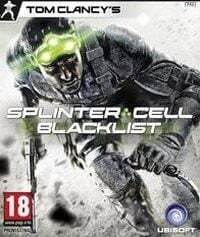 After each mission the player is awarded points in each of those three categories.Tom Clancy's Splinter Cell: Blacklist includes solutions known from the previous parts of the series, such as automatic execution on selected enemies. The highest difficulty level, i.e. Perfectionist is a new feature –opponents are very sensitive and the player has to face numerous obstacles (e.g. no crates with supplies). Fisher can stun or kill enemies using a wide arsenal of weapons and special equipment, e.g. crossbow, reconnaissance drones, sonar goggles and various grenades (EMP or sedatives). Most of the equipment is initially unavailable, but it can be unlocked after purchasing it. Funds are raised primarily for accomplishing mission or extra tasks (e.g. stunning a few enemies with a grenade) and finding secrets. Between the missions, the main character returns to his mobile command center, i.e. transport plane called Paladin. Here Fisher can adjust his equipment, improve the aircraft, talk with members of the crew and get acquainted with a map informing about available tasks. The game includes cooperation mode so you can accomplish optional missions with other player. These tasks often require close cooperation, both in terms of effective elimination of enemies and reaching another location (e.g. climbing or opening a gate). Moreover, the game features Spies vs. Mercs mode known from Chaos Theory that enables spies and mercenaries to compete. The fight takes place in several variants – the two most important ones are Blacklist module, i.e. a duel groups of four and Classic one offering competing in duets. The audiovisual layer of Tom Clancy's Splinter Cell: Blacklist for PC, X360 and etc. has been developed with great care and cinematic verve. The models and motion animation (provided with motion-capture technology) are very natural while the game environment is presented in a detailed manner. The unofficial walkthrough for the Tom Clancy's Splinter Cell: Blacklist includes, predominantly, a very detailed walkthrough for all of the main and side missions.